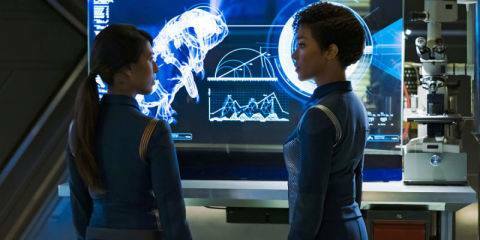 STAR TREK: DISCOVERY SPOILER ALERT: There are episode spoilers in this review. The adventures of Michael Burnham continue on-board the U.S.S. Discovery when she comes face-to-face with the animal alien that Commander Landry (Rekha Sharma) names Reaper. Captain Lorca (Jason Isaacs) orders Burnham to find out what makes the creature resistant to the deadliest weapons in the galaxy. Captain Lorca joins a new fight when the mining planet Corvan 2 is attacked by Klingons and the U.S.S Discovery’s new, untested research is the planet’s last hope to survive. When watching the episode, I knew one question everyone would be asking: what would Burnham’s mission be on board the U.S.S. Discovery, knowing that Captain Lorca has been such a thickly perplexing man. Watchers know that the Captain had to have a uniquely specific and likely “too out of the box” of a mission to assign to Burnham. As it turns out, we were right to think so. After Burnham is temporarily enrolled and suited up for duty on the U.S.S. Discovery as a no-rank science employee, her roommate, Cadet Sylvia Tilly (Mary Wiseman), brings her a package requiring Burnham’s identification to open. When the package’s computer reads her ID, it asks if Burnham accepts the late Captain Georgiou’s will. Overcome by unexpectedly hearing her Captain’s name, Burnham hides the package under her bed and walks out to her assignment. On the bridge, Captain Lorca is conducting a Klingon attack simulation. Even with his finest crew, the simulation still fails. 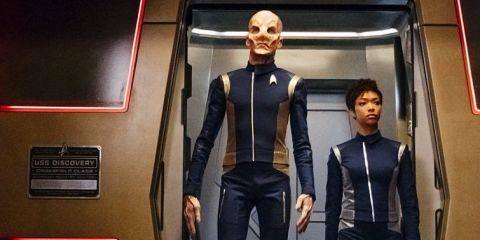 When Burnham walks in, Lorca orders his first officer, Lieutenant Commander Saru (Doug Jones) to continue the simulation until they win. In his Ready Room, Captain Lorca shows Burnham that he had the alien animal beamed aboard for study. He discusses knowing that nothing can hurt or kill the alien animal, all while Burnham is slack-jawed noticing the alarming collection of the deadly weapons on the walls of the Ready Room. Captain Lorca assigns Burnham to the task of replicating and weaponizing what makes this creature so resistant to attacks. The new leader of the Klingon Houses, Voq (Javid Iqbal; also referred to as “Son of None,”) who is being depicted as an albino, is seen by the other Klingons as subpar for his “deficiency.” Despite their hate, his late leader named him heir at the end of the second episode. Voq embraced the mantle, but with a crippled ship, he knew he couldn’t go as far as he hoped to. His ship suffered heavy damage in the last battle and Voq was in dire need of a dilithium processor to revive his ship. That’s when L’Rell (Mary Chieffo), the strong female Klingon, joins Voq. L’Rell was the right-hand Klingon of the late T’Kuvma and “Messiah,” and her desire isn’t to lead, but to reunite the 24 powerhouses of the Klingons, to revive the empire, resist the assimilation of the United Federation of Planets, and to keep the Klingon bloodline pure. L’Rell suggests to Voq to use the dilithium processor on board the U.S.S. Shenzhou because it was still functional and the ship had been abandoned by Starfleet when they lost the battle. Voq refuses categorically, mentioning that it would be blasphemous to bring something from another species on a Klingon ship as it would go against all that T’Kuvma preached. That’s when my mind (and probably those of most other watchers I’m sure) was blown: L’Rell reminds Voq that she saw a smile on Voq’s face when they were feasting on the late Captain Georgiou’s body and he sunk his teeth into the flesh of her skull. And so Voq agrees to do as L’Rell suggests. I couldn’t get over the fact that the Klingons ate Captain Georgiou’s body. I was amazed at how daring the creative team on the show was. It will pay off, I’m sure. It was so unexpected, so raw, and so subtly brought in the harsh Klingon language by the soft voice of L’Rell (which I might add is now one of my favourite characters). Admittedly, I’ve never had that many female characters as my favourites in shows, but the Star Trek: Discovery’s cast is rich with strong, interesting female characters that I can’t resist! While Burnham is in the science laboratory reserved for her research on the alien animal, Commander Landry enters to remind Burnham of the Captain’s orders to turn the animal into a weapon or at least replicate its endurance into other weapons. Burnham mentions a discovery she has made on the animal: that it reacts to light, was likely only defending itself, and that it shouldn’t be seen as a predator. Despite Burnham insisting on not provoking the alien, Landry enters the room with intent to wound or extrapolate some form of data from its reactions, but Reaper defends itself and savagely injures the Commander. Burnham orders an emergency teleportation to sickbay, where Commander Landry dies. Because of Burnham’s research on the creature, she refuses to bring the creature more pain and suffering. She discusses her findings with Lieutenant Paul Stamets (Anthony Rapp), the science officer (astronomycologist). Stamets’ research on the fungus found in the prototaxites stellaviatori’s spores was the reason the U.S.S. Discovery was conducting experiments on a new organic engine drive. Lieutenant Stamets finds that the missing part of the “super computer” was in fact Reaper, because each time the U.S.S. Discovery would “jump” using the organic engine, the ship would lose navigational drive and end up somewhere they were not intending. Captain Lorca is approached by Admiral Cornwell (Jayne Brook) in the form of a hologram in his Ready Room. She asks if the jump drive is ready and Lorca confirms. Cornwell updates Lorca on the fast decline of the mining planet of Corvan 2 as they are under siege to Klingons and quickly losing the fight. After ending the transmission, Captain Lorca orders a jump despite Stamets’ warning that they are not ready and that more time was crucial in scientific experiments. The U.S.S. Discovery ends up close to a sun, barely managing to jump elsewhere, leaving with some damage on the ship and many injuries on-board, including Statmets. While Stamets is in sickbay, he harshly reminds the Captain of the dangers of the drive and losing their navigation scans. Stamets reminds Lorca that he never signed up for a mission where he would be a soldier, but Lorca orders him to find another ship if he wasn’t ready to fight for innocent lives. If you thought Captain Lorca was a badass captain before, the scene that followed only reinforced your suspicions. Captain Lorca stood in the middle of the medical bay and ordered the computer to play the last transmission from Corvan 2 for the entire crew to hear. The horrific screams, cries, and bombings echoed throughout the ship. The crew might have gotten to Corvan 2’s rescue, but Burnham feared for Reaper, who she had become attached to after Tilly helped her get the fungus Reaper seemed to enjoy. Burnham communicated with the creature to calm it and help it heal from all the unjustified testing that was done on it. After Kol, an alpha commanding Klingon officer from the House of Kor, who used to be T’Kuvma’s protégé, asks for Voq’s forgiveness for his attitude the first time he reached out for all Klingons’ help. Kol is forgiven by Voq and welcomed on his ship, which is deprived of food, and other essential needs, as it’s been adrift for some time since the battle against Starfleet and the U.S.S. Shenzhou. Voq and L’Rell go on the U.S.S. Shenzou to release the dilithium processor to bring it on-board their ship when Voq asks L’Rell why she was okay with him being the torchbearer when she had been T’Kuvma’s main, go-to Klingon for years. She admits that despite her rank, she never aspired to be a leader when she could be a counselor and guide to the one she thought could be the greatest leader to unite all 24 powerhouses of the Klingon world. This was a touching moment because of the “Beauty and the Beast” factor created by Voq being considered an ugly monster because of his skin color (as well as his unclaimed title of “Son of None”). With L’Rell’s look, beautiful yet tenacious, she has an uncommonly soft look in her eyes that made that moment both enjoyable and touching to watch, despite a quick ending. When back on-board his ship, Voq finds rival Kol with Voq’s crew, feasting on the food he had brought from his own ship. Kol tells Voq that he has taken control of the Klingon fleet as well as Voq’s own ship, particularly because of its cloaking ability. Voq tries to reason with him, reminding that T’Kuvma made him the Torchbearer and that he would bring all 24 houses to power again. Voq also assures him that after the war, they would again go their separate ways. L’Rell gives Kol the dilithium processor and takes a bite of the food Kol has brought on board. When Kol asks her to kill Voq, she instead advises him to exile Voq on the U.S.S. Shenzhou and leave him there to die. Voq, on the U.S.S. Shenzhou, speaks prayerfully to T’Kuvma, until L’Rell appears after teleporting herself on board. Voq, enraged, tries to kill her, but she confesses to have saved him because she believed in his leadership and was willing to help him achieve his goals. With the help of Reaper guiding the fungus (against its will), the U.S.S. 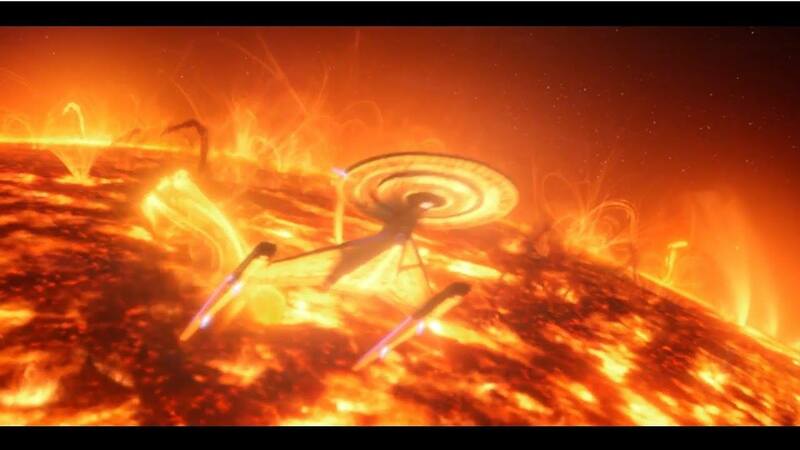 Discovery successfully saved Corvan 2 with the jump engine and pulverized the Klingon ships attacking the planet. The Klingons are obviously racist against other aliens, but also among anything that is “different,” even their own Voq. Despite Voq wanting to be faithful to his late leader, I want him to “win” instead of Kol, particularly because Voq is often mistreated because of his appearance and I cannot stand such treatment. I do enjoy the love-hate factor for Voq brings. He is a villain and yet, it’s easy to sympathize with him and yearn to know more about his origins. 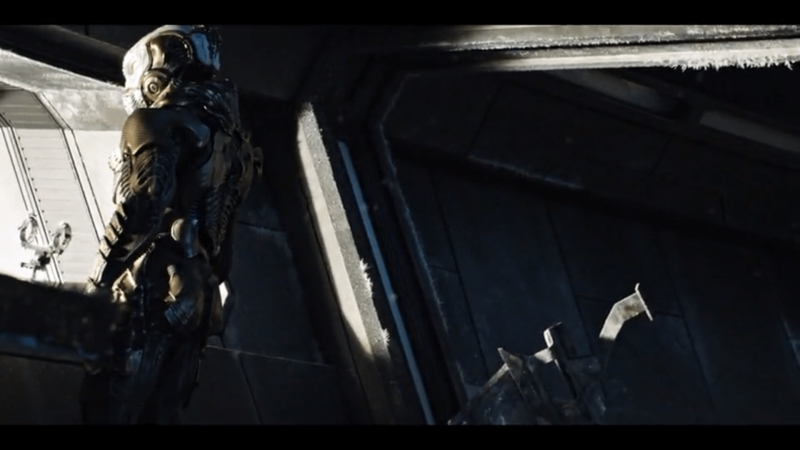 Captain Lorca isn’t just a Captain that wants to maintain order in spite of bringing pain and suffering to Reaper, but also seemingly subliminal, somber intentions are increasingly notable. Saru, in outrage, suspiciously notes to Burnham that she will get along well with the Captain for her unconventional manners to lure him to the lab to see if his danger-sensing tendrils flared in response to Reaper. 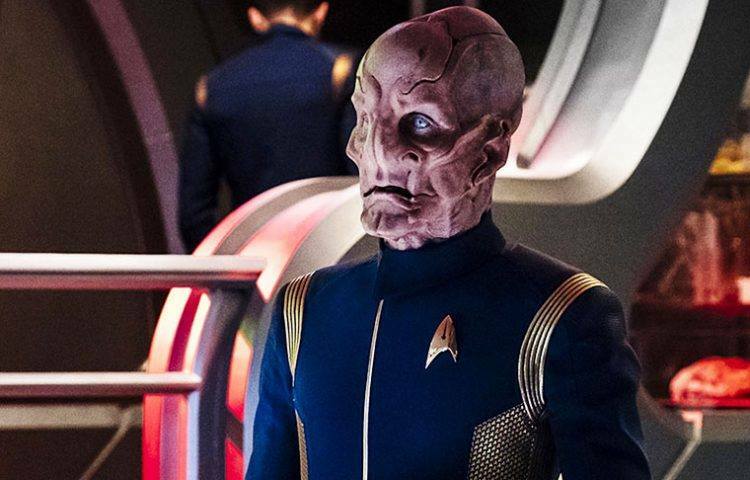 I said it last time and I will say it again: I feel as if this season of Star Trek: Discovery was inspired by Star Trek Voyager’s Equinox episode in which an alien species was being used for a ship’s performance, despite the use being morally wrong. But I’m not saying that it won’t be good because of this similarity, especially because it is being so sensibly portrayed. The visuals are still enlighteningly futuristic and detailed in such a believable way that I feel as if I’m personally in the future when I watch the show. 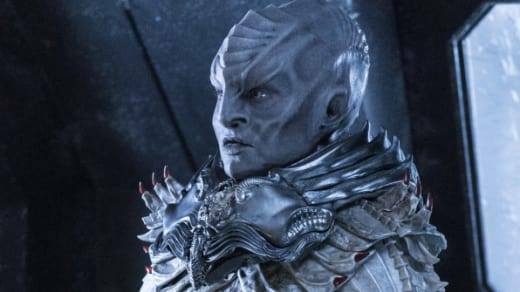 The only fault I’ve found with Star Trek: Discovery so far is the use of Klingon language every time the Klingons are on-screen. I understand that many die-hard fans must be over the moon, but for more regular fans such as myself, it is annoying to have to read subtitles that are shown at superhuman reading speeds (I had to put it on pause a few times to make sure I didn’t miss anything important). The fast subtitles take away from the admirable, new representation of the Klingons. Other than that, I can’t wait for the next week’s episode. I’m hoping that Burnham will find a way for Reaper to either be freed or at least communicate with him. I get attached to animals fast and Reaper has definitely found it’s way into my heart. All images are from CBS’s Star Trek: Discovery. I am a student in English Creative Fiction Writing and Professional Drawing. I aspire to one day be an author for DC Comics and/or a penciller. I'm currently working on a novel of my own and I hope to be published soon. I love comic books, science-fiction, reading, country music and I am obsessed with Batman!